Three years later, out of the student enterprise, grew Raízes Turismo e Desenvolvimento Local (Roots Tourism and Local Development), founded by Madureira and Costa in partnership with two other Territórios members. Raízes now generates sustainable income for communities in the interior of Brazil, taking advantage of the local production and gastronomy. In its first year of operation, Raízes made an economic and ecological study of the mining towns of Sabará and Caeté, to identify heritages to be preserved and places where tourism should be stimulated or inhibited. The work was carried out in partnership with an environmental company and contracted by the city governments. Madureira and Costa also assumed the executive coordination of Brazilian Association of Eco and Adventure Tourism (ABETA). 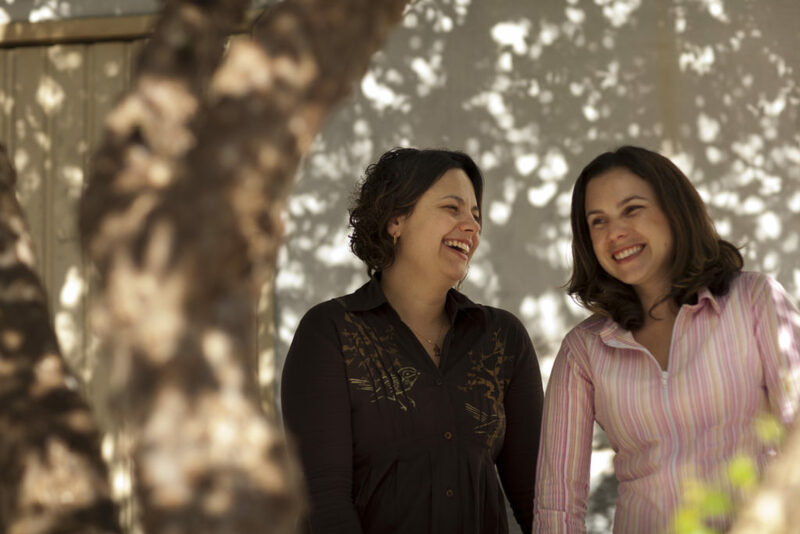 In 2009, the two businesswomen left Minas Gerais for São Paulo, where Raízes moved into Impact Hub São Paulo, a co-working space that brings companies with sustainable and social missions together. During this time, their work gained even more importance, with the creation of Raízes Artesanato (Roots Crafts). The initiative operates in 20 communities in the Jequitinhonha Valley, in northeast Minas Gerais, involving nearly 400 people, mostly women, in professional training and in the sale of handicrafts produced in the region. Jequitinhonha is one of the poorest places in the state of Minas Gerais and suffers from drought, forcing workers to emigrate in order to make a living. The Raízes partners paid for a promotional website to sell crafts made by the locals as well as for all the production and logistics of selling the pieces in other cities. Before taking any step, both talked to the craftswomen, making sure that they all participated in the decision making. The enterprise generated income and everyone involved was proud of it. 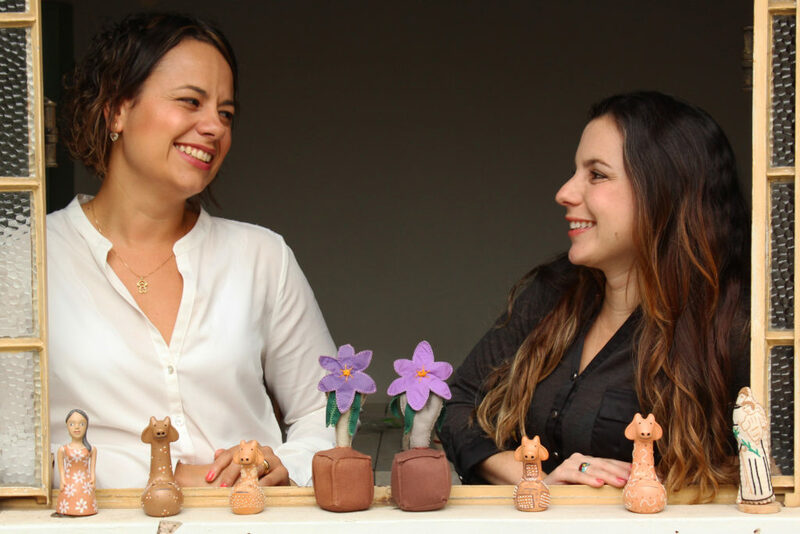 “We notice that the younger women, who were not interested in their mothers’ profession, are now interested in crafts and want to preserve the tradition,” says Madureira. However, the website did not sell as many products as expected, because logistics are expensive and competition with industrialized parts of China is stiff. But, there was something else that Madureira and Costa only found out once they started filling boxes of Jequitinhonha’s products and selling them at fairs. “We realized that sales got much better when we started telling the stories behind the pieces,” says Costa. The entrepreneurs discovered that the appeal of the work depended on how the company presented the story of the craftswomen’s lives. Raízes Artesanato became Raízes Desenvolvimento Sustentável (Roots Sustainable Development) and the partners selected three of the 20 Jequitinhonha Valley communities setting up tourist itineraries for each, with sights to see, and cultural and gastronomic experiences. “We found that we could work with women from the communities because we had empathy and we were able to listen to their needs,” says Costa. 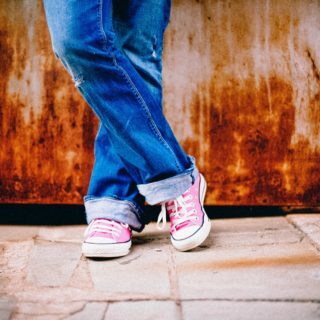 This focus was crucial because women, the majority in the population, are responsible for supporting 37 percent of Brazilian households, according to data from Brazilian Institute of Geography and Statistics (IBGE). In 2014, besides creating the “Do Barro à Arte” (From Clay to Art) community tourism itinerary, an immersion in the art of pottery-masters, in which travellers stay in family homes in the region, Madureira and Costa went through a long process to get Raízes certified by B Company, which provides accreditation to business with a positive social impact. Madureira and Costa are no longer partners. In 2015, they decided they would lead two independent but complementary companies. Madureira continues to lead Raízes, serving communities and companies with sustainable development projects. 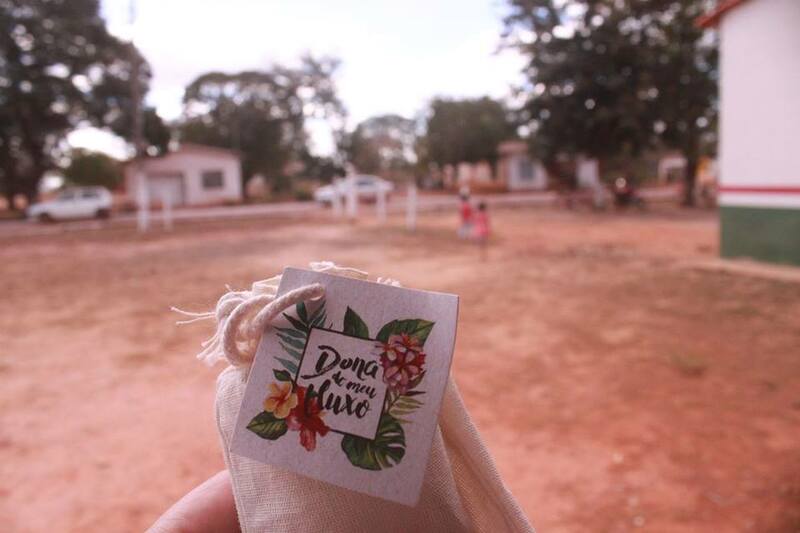 One of its recent initiatives is Dona do meu Fluxo (Owner of My Flow), which, in partnership with Korui, a producer of menstrual pads, distributes menstrual cups among women in the Minas Gerais interior and organizes meetings to talk about the female body. Cups are non-disposable and therefore more sustainable and economical than pads or tampons. Costa, for her part, now leads Vivejar (a play on word combining the Portuguese verbs for ‘live’ and ‘travel’), which caters to tourists looking for purposeful trips with meaningful experiences. A gastronomic itinerary in Belém, in Pará, for example, was developed in partnership with Movimento das Mulheres das ilhas de Belém (Belém Islands Women’s Movement). 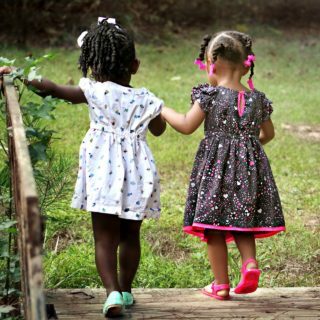 As the Chilean novelist Roberto Bolaño once wrote, “every hundred feet the world changes.” Madureira and Costa have walked hundreds of feet on a journey with an ever-changing path, but never gave up their initial desire: To make a difference.